Team Gleason heard about Rich Panella from Melanie Roach-Bekos, the Executive Director of The ALS Association-Wisconsin Chapter. 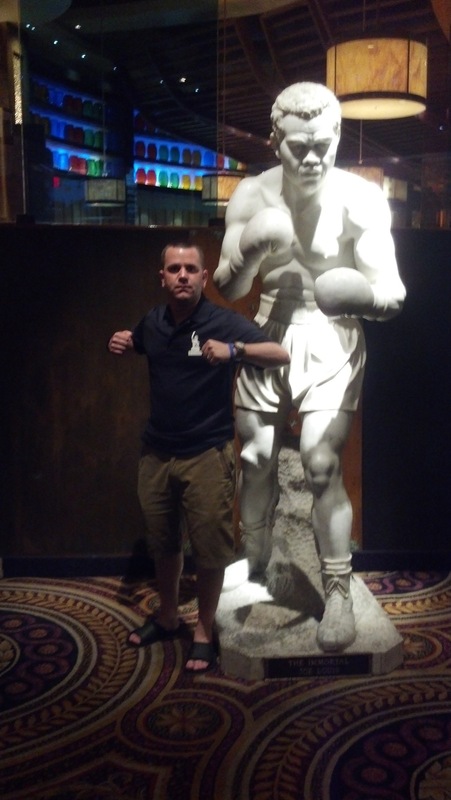 Rich was the girls basketball coach for Cardinal Stritch University. The video below portrays the kind of coach and incredible person he is. Team Gleason was obviously inspired by this man after watching the video and reached out to do something special for him. 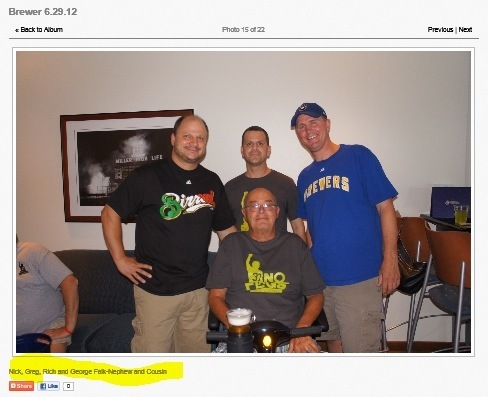 Besides Melanie, our main contact was Rich’s nephew, Greg Koltek. He has a great spirit and a lot of fight and has been instrumental in helping his uncle and raise awareness for ALS. He actually bid for and won a football that we donated to a local fundraiser there called “An Evening of Hope”. Small world. Greg found out for us that Rich’s main equipment need was a new scooter. 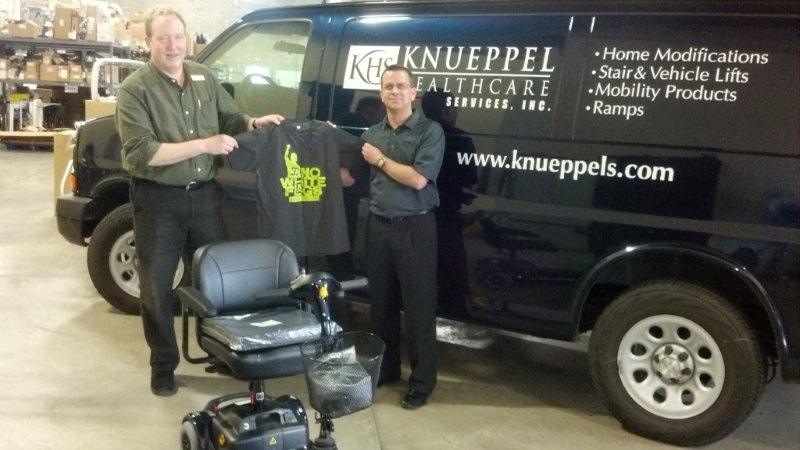 With the funds donated to The Gleason Initiative Foundation we bought a Lynx L3 scooter from Knueppels Healthcare Services. Photo: Greg with Kevin from Knueppels. 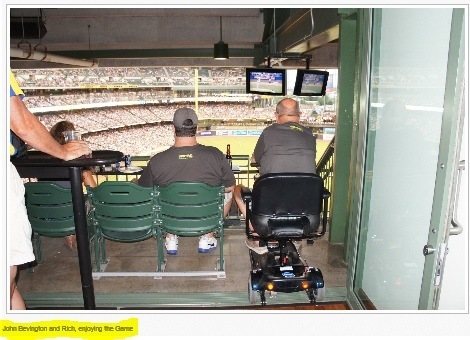 Next, with the help of Melanie, Frank Nicotera of Summerfest, and the Milwaukee Brewers, we sent Rich and the awesome Panella Family to a Brewers game. 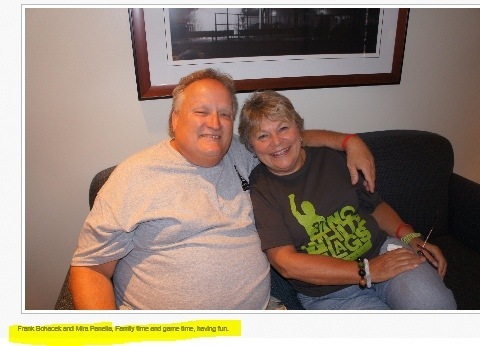 Below are a couple of pictures of the Panella family and friends at the game. Recently, Rich was officially inducted into the National Association of Intercollegiate Athletics (NAIA) Hall of Fame and the Cardinal Stritch University Athletic Hall of Fame. See more on link below. 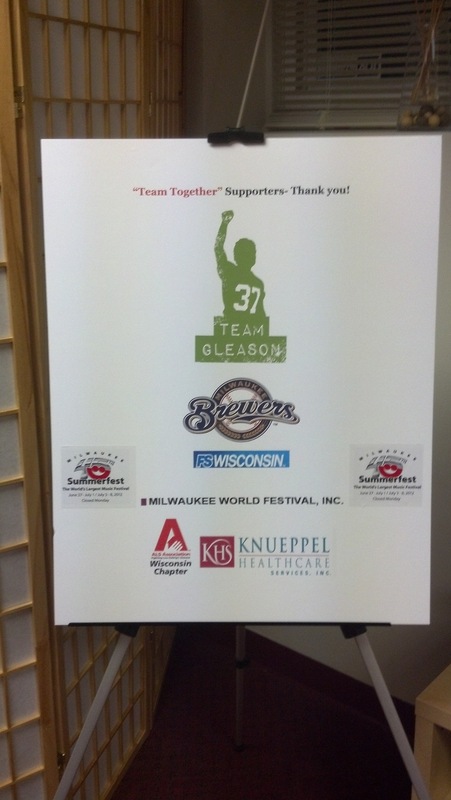 Thanks Team Gleason! This was a great night…one that none of us will soon forget! We can’t thank you enough for all you did to make this happen. And Greg, you’re a pretty awesome cousin!